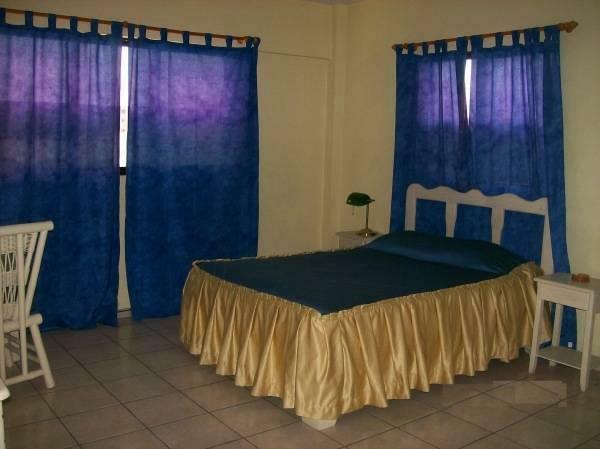 ﻿ Best Price on Esmeralda in Santo Domingo + Reviews! Esmeralda is located in quiet part of central Santo Domingo, next to UASD University and just a 5-minute drive from the Colonial Zone. It offers free Wi-Fi and free on-site parking. The spacious air-conditioned rooms feature tiled floors, a fan, a fridge and satellite TV. All rooms have a private bathroom with a bathtub or shower. Some rooms also include a kitchen. Breakfast, laundry and ironing services are available on request at Esmeralda. There is a bar and terrace area and a 24-hour reception. Esmeralda is located 656 feet from Joaquin Balaguer Metro Station and a 10-minute walk from the Malecon seafront promenade and Güibia Beach. Shops, banks and restaurants are all within walking distance.